Last week was a flurry of excited preparation and nightly exhaustion. I don’t think Oona has ever slept so well! 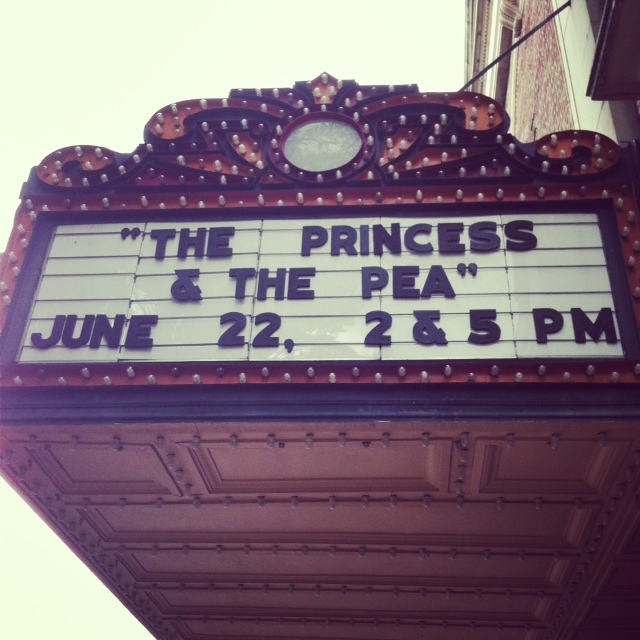 On Monday the girls were assigned their parts in the play – a re-working of The Princess and the Pea. 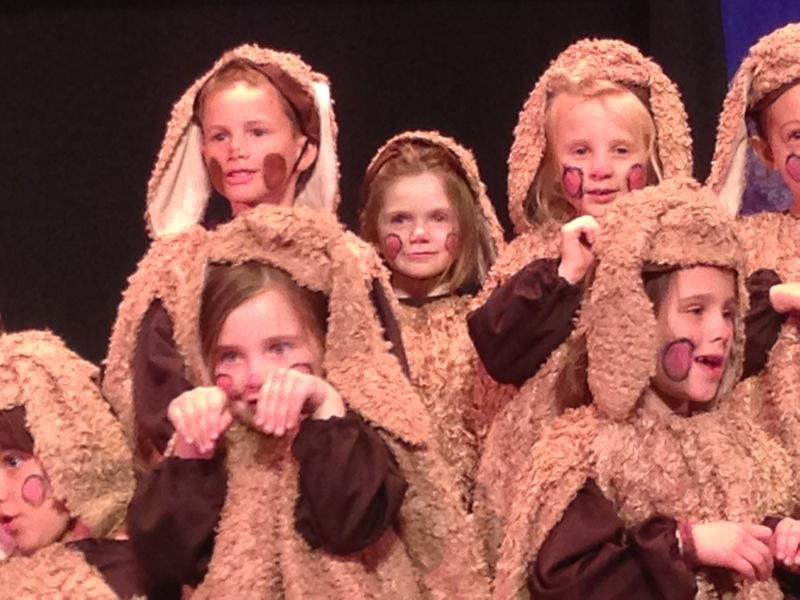 They then had until Saturday to learn their parts and perform it. 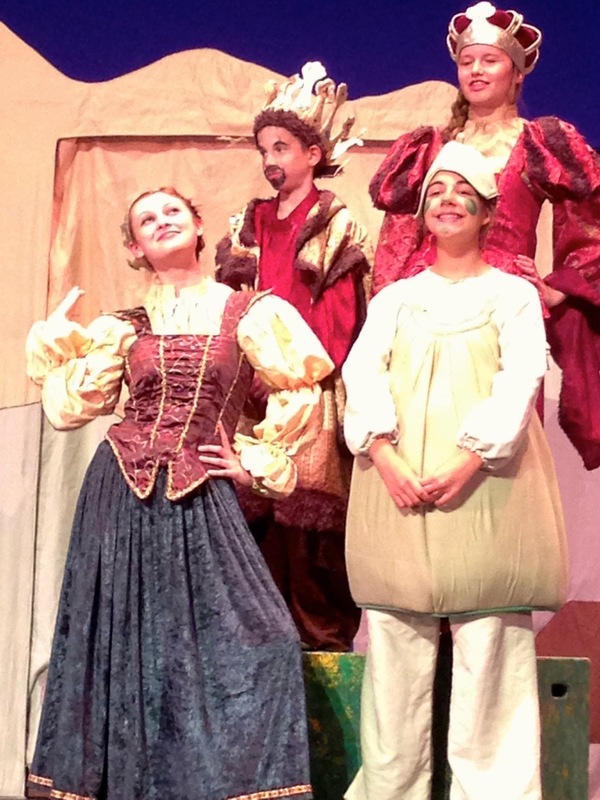 Maddie was cast as the Princess. 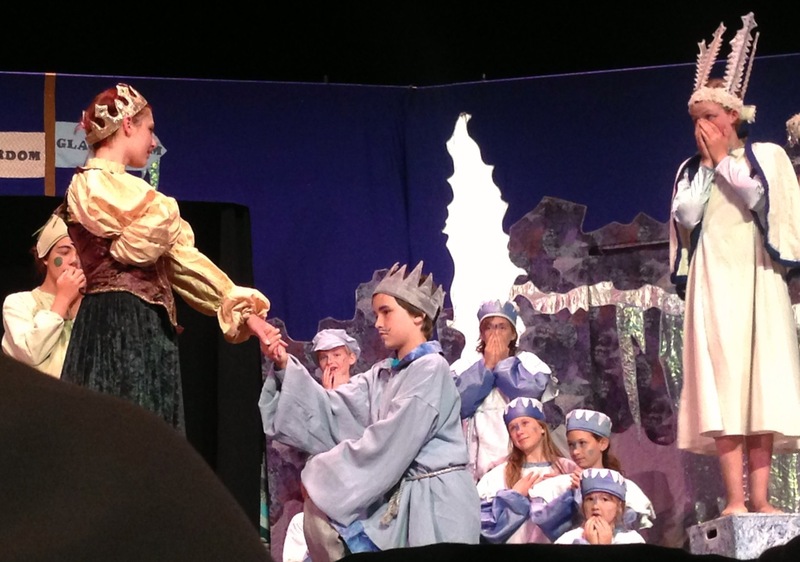 Emily was cast as a phony princess vying for the prince’s attention. Neve was a wind-maker from the prince’s wintry kingdom, and Oona was a dust bunny from under the princess’ bed. We knew at least two other families’ worth of kids taking part, so it was a fun mix of old and new friends. 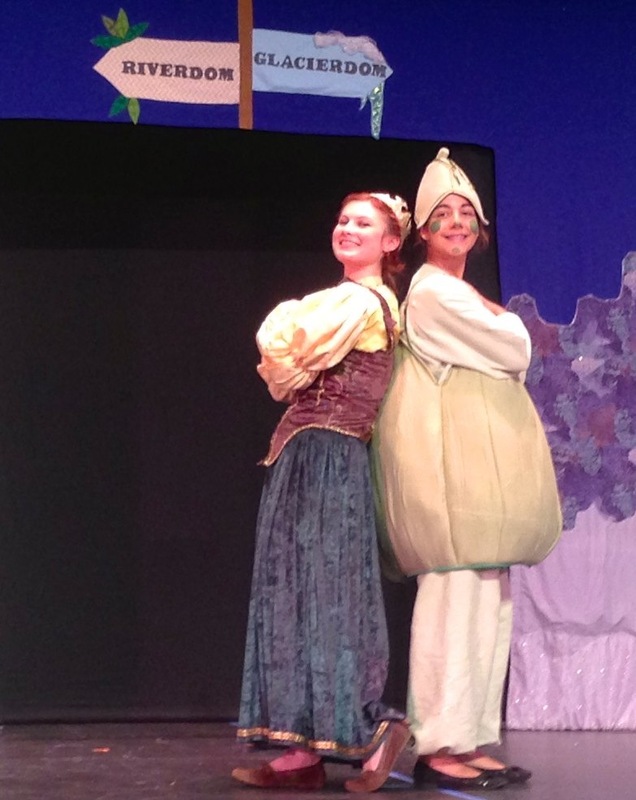 Maddie as the Princess, with her buddy – the pea. This is what happens when they ask my kid to make a funny face. 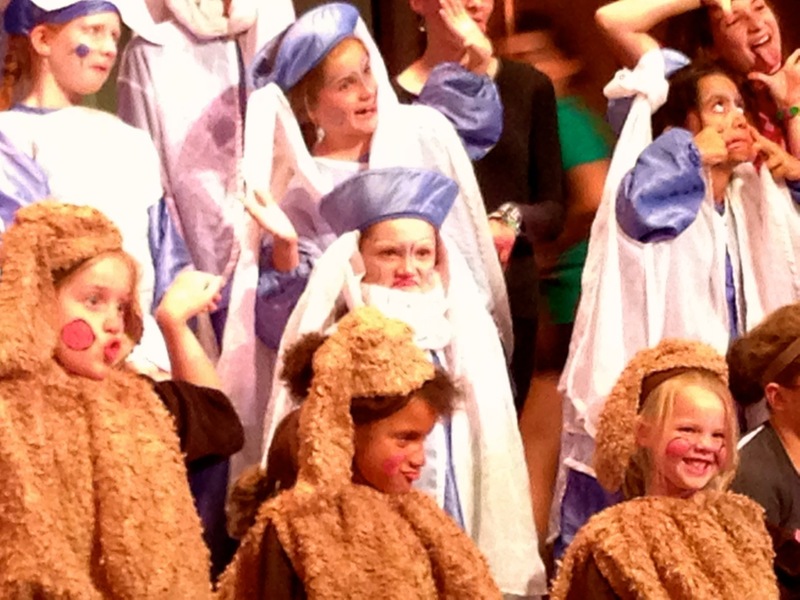 Oona, and our friend’s daughter Laura, front left. 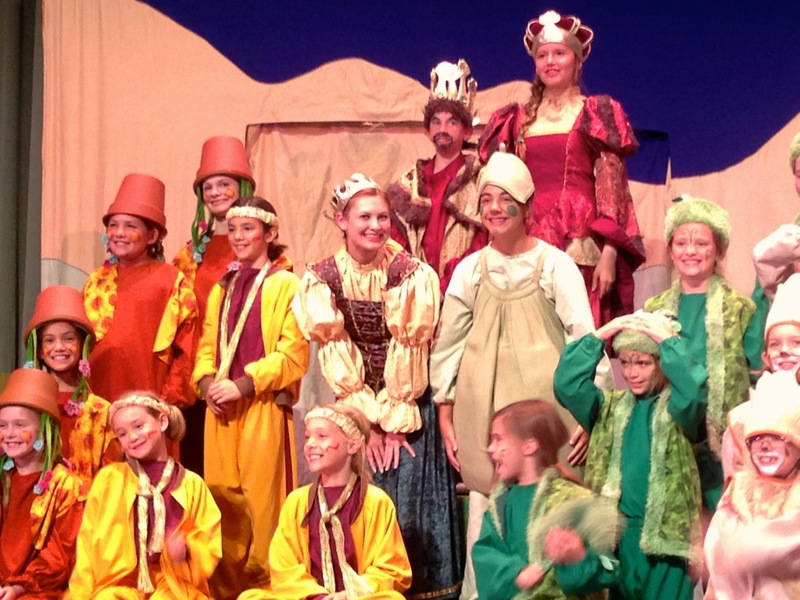 There’s Emily on the top left in the funny flower pot hat. Paul’s parents came down from New York and we spent the day in town going to both performances. 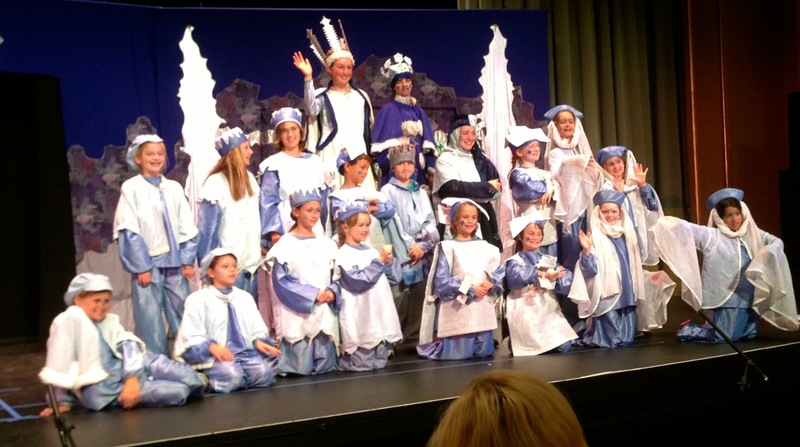 It was a wonderful, magical experience for the kids and we are thrilled they were able to take part. We are sure to do it again next year!